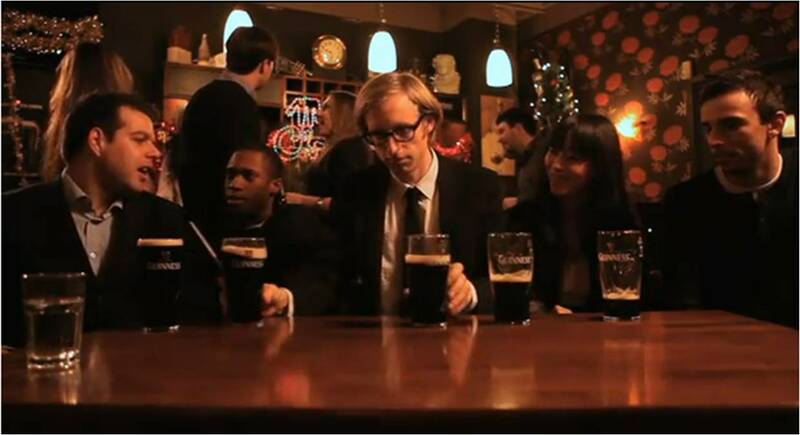 Guinness Jingle Bells with James Yuill - 'Bring Christmas To Life' with Jingle Pints! Guinness have launched a Christmas promotion in the UK - Guinness Jingle Bells! Furthermore, Guinness fans across the UK are being encouraged to get together with friends to 'bring Christmas to life' by downloading the instructions and making their own Guinness Jingle Bells Christmas video with the best performances winning a years supply of Guinness. Feels like the Christmas season is properly starting!